Today is Administrative Professionals Day. Even after all these years, not to mention a significant name change from “Secretary’s Day,” this particular day still feels like MINE. 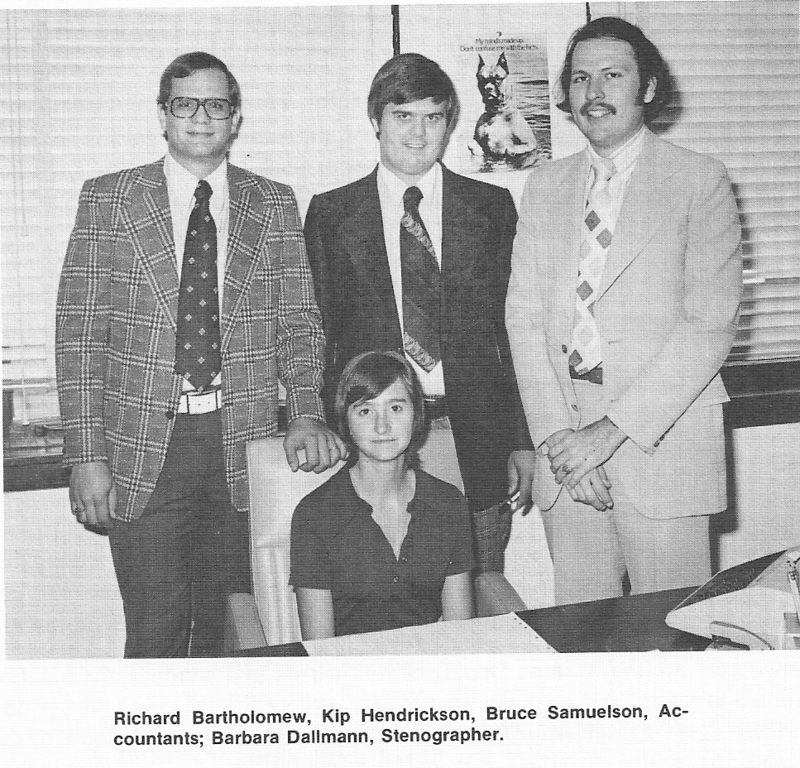 I began my secretarial career at the age of 15 when my English teacher chose me as her office assistant. Soon, the entire English Department was remarking favorably about my secretarial skills, and I landed my first part-time typing job the summer I turned 16. My skills increased and my career continued into corporate positions with up to 11 bosses simultaneously. At 29, with the help of an SBA loan, I opened my own Secretarial Services company, Happy Fingers. In 1984, mine was the first of its kind in Charleston to offer “computerized typing” aka word processing. Happy Fingers has continued for 29 years, and I still love it. I acknowledge there’s a huge difference between being someone’s secretary and owning a secretarial service company. It became crystal clear my first year in business as I observed a huge increase in the level of respect I received from my clients versus what I had received from my bosses. I was still the same person, doing basically the same things, but I was no longer a mere secretary; I had become a business owner. It was a paradigm shift that changed forever the way I saw myself. Over the decades I have grown in both ability and confidence. I expanded into bookkeeping and payroll and received certification as a Professional Résumé Writer. Assisting people with their job searches is actually what led me to become certified as a Life Coach, and that’s why I started writing a blog. My English teacher would be proud! In 2013, I am not only grateful for my skills but for my 1984 self who was willing to take a big risk. My husband treated me to lunch yesterday, a tradition that started when I was his secretary in the late ‘70s. We reminisced about those early days, talked about the many technological changes, and celebrated the myriad of good choices that led us to an outdoor lunch in a beautiful setting. This is my day to LOVE the Secretary part of me: the organizer, the detail person, the one who can do four things at once and do them all with amazing efficiency. Happy Secretary’s Day! I was feeling a little confused at the cottage this morning. I’ve been so unmotivated, so tired, so content to just sit and stare. That’s just not me. And, yet, it has been me for a while now. Where is my energy? Where is my inspiration? After all, it’s Dannie who’s going through radiation therapy. It’s normal for him to feel tired and listless right now, not me. So what gives? I was directing my questions to The Universe and fully anticipating some enlightening answer when I heard a THUMP. Something had hit the glass of the French door. 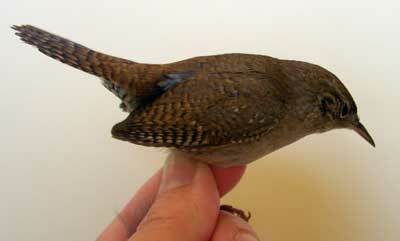 I looked out to see a wren lying dazed on the front deck. I swooped up the tiny creature just before my cat pounced on it. I shooed the cat away and took the bird inside. Such a little creature and perfect in every way. I sat in my rocking chair, cuddling the delicate thing in my hands. I looked at its beauty, watched it breathe, and wondered what would become of it. I decided that for the moment, it didn’t matter. I would simply hold it, rock in the chair, and appreciate the rare gift of holding a tiny bird in my hands. After a while, it squirmed a little and then hopped onto my shoulder. From there, it hopped to my knee and then flew toward the window. I gently picked it up, opened the door, and threw it high into the air. I watched until it flew out of sight. Okay … who could argue with that? I just can’t wait until I know for sure . . . Yesterday was an awful day. I had a case of “morning brain” that lasted all day long. I’m talking about brain fog so dense, I couldn’t see my way through the simplest mental challenge. It didn’t help that yesterday held a demanding workload. It took me three times longer than usual to get through my tasks. It was an uphill battle, and I finally surrendered around 4:30, thinking I’d get an early start in the morning. But I woke up with a massive headache, so I quietly made my way to the cottage, hoping meditation, solitude, and coffee might help. Two hours later I returned to the house with the startling realization that the headache was the result of not breathing! Through journaling and a willingness to look at the truth, I saw clearly just how stressed I’ve been lately, not just the last couple of months, but all the way back to late last summer when Britain first talked to an Air Force recruiter. Since then, life has been a series of well-meaning assurances, like “we’ll know something for sure next week.” I remember deciding to wait to send Christmas cards until we knew something for sure. They never got sent. Then the uncertainties really started piling up. What will happen to the Ford Institute for Transformational Training now that Debbie Ford is no longer with us? Today was Dannie’s Radiation Treatment #16. Will he have a bad reaction today? Tomorrow Britain is supposed to go to Beckley for the Army physical exam. Will he be signing papers before the weekend? It’s no wonder I’ve been holding my breath! What’s gonna happen? What’s next? When will I know something for sure? I’ve been waiting for months! 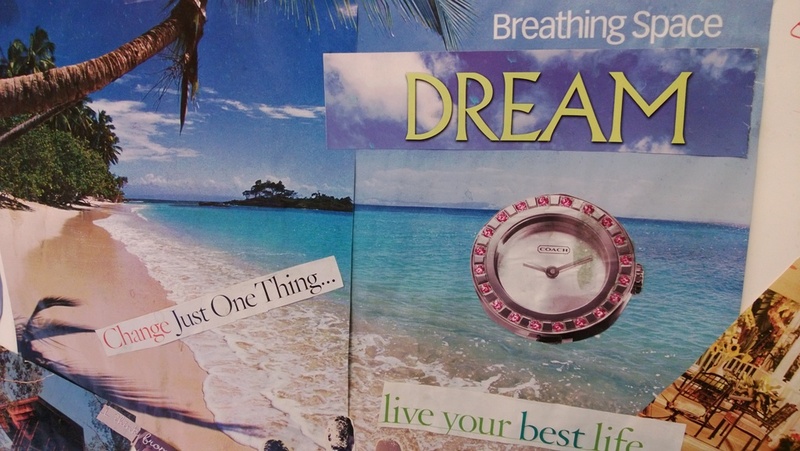 This morning I decided it was time to stop waiting and start breathing. I removed every single non-essential activity from my calendar and spent the day deeply breathing my way through a series of spontaneous activities. I went for a ride in the convertible, singing along with Jimmy Buffett. I grilled steaks and invited my family to an impromptu picnic lunch on the back deck. I watched a training video and then tried my hand at clipping the dog, followed by a bath, where we both got soaking wet. Yes, I know it was a “work day,” and as soon as I finish writing this, I’m going to carefully schedule my priorities for tomorrow. No missed deadlines. No one will suffer because I found some BREATHING SPACE. I knew those words were on my Vision Map for a reason! And just so you know … headache’s gone, brain is clear, and I’ve decided to make some permanent changes to my Things To Do List. Just a little piece of my 2005 Vision Map. I’m still working on it!